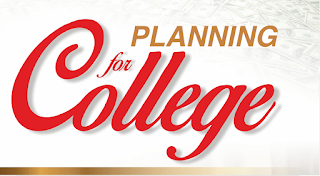 College Planning Workshop - ONE WEEK AWAY!! "How To Pay A Whole Lot Less For College" hosted by NFS and presented by local Author and College Expert Paul Hemphill. This exciting workshop will help you to reduce your stress about college planning including what to expect from colleges, how to afford college and how to minimize your costs. AND, as an added bonus, if you bring your high school Sophomore or Junior with you to the seminar, you will receive a take away valued at $95! Register for this great session HERE.